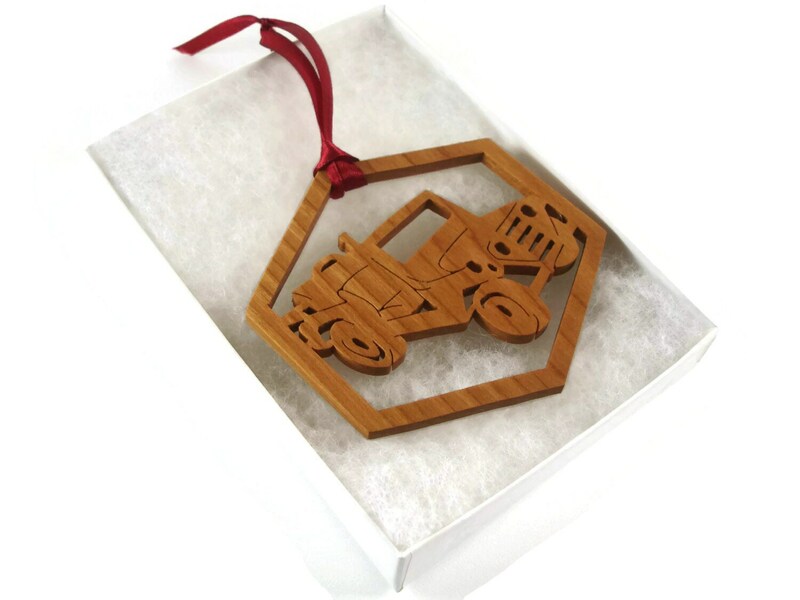 If you or someone you know is in the military or just likes military vehicles then this military Jeep Christmas ornament is the perfect gift to get for your tree or for that special military Jeep enthusiast friend. 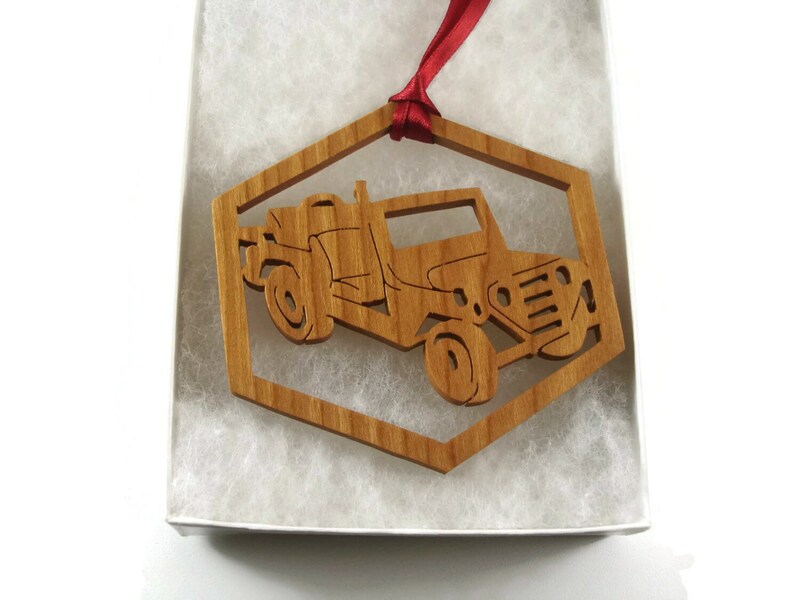 This military Jeep ornament was cut out by hand ( Handmade ) from Cherry wood. This was finished with a homemade non-toxic natural beeswax and mineral oil mixture which enhances the woods natural beauty. A various color fabric ribbon was attached for ease of displaying this on your Christmas tree. 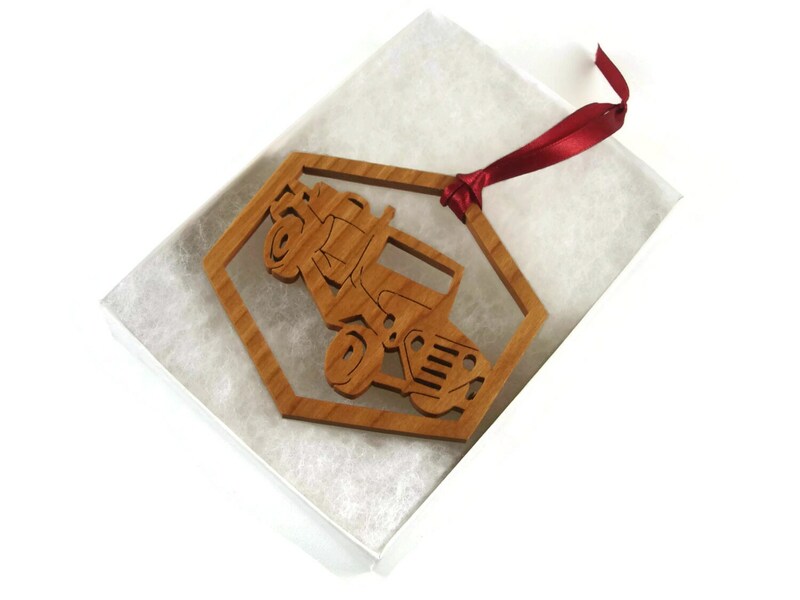 ***Note: Can be ordered from other types of wood if you prefer a different color wood. 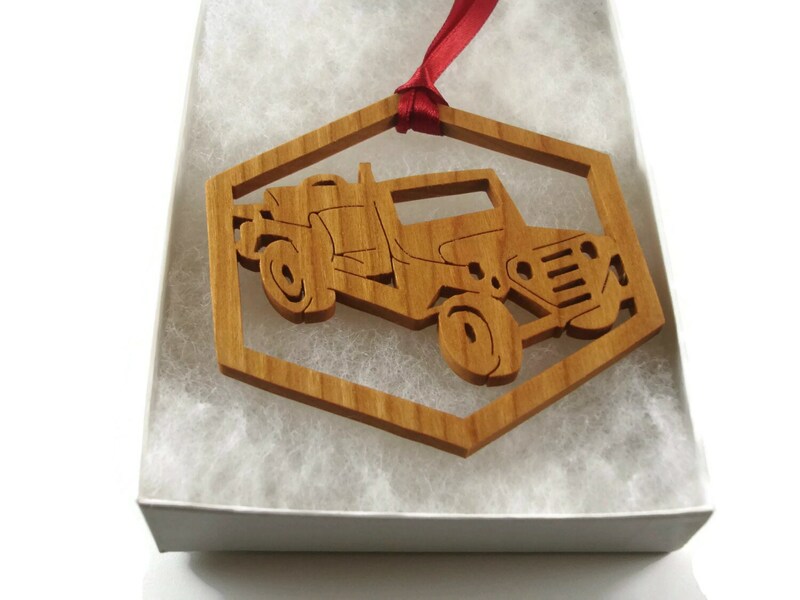 Also can be ordered unfinished if you would want to paint or write on your ornament or use your own type of finish.